.This Lodge 10-1/2" square skillet is ideal for bacon strips or French toast, and cakes as well. 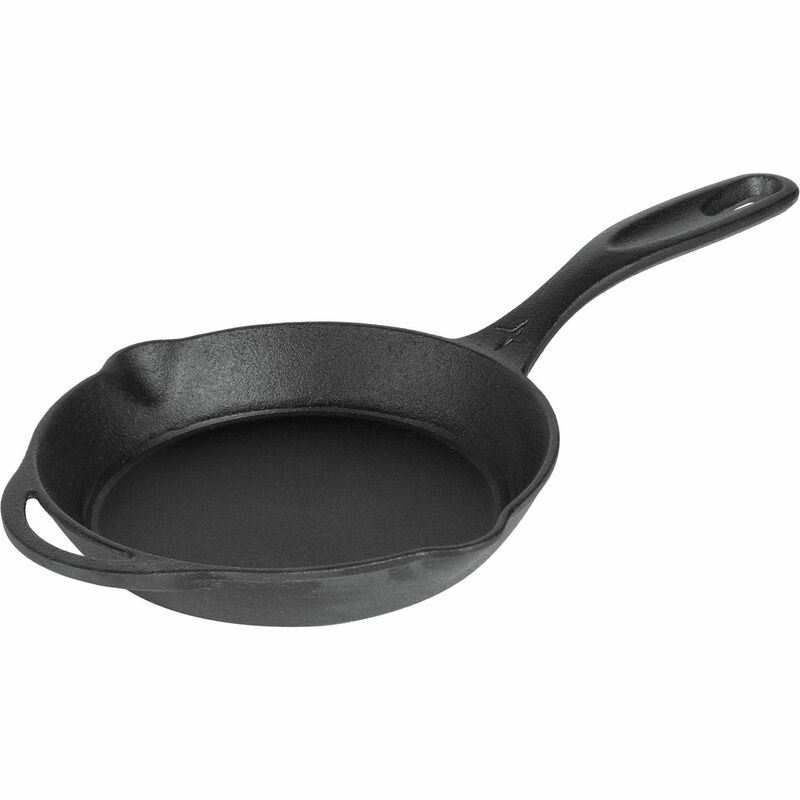 With a black cast iron construction, this skillet is both durable and classic in design. This skillet is the perfect size for all of your cooking needs. This skillet is a great addition to any kitchen. Highlights:.Size: 10-1/2" .Depth: 1-3/4" .Square. Oven safe. Foundry seasoned, ready to use upon purchase. Use on all cooking surfaces, grills and campfires. Saute, sear, fry, bake and stir fry to heart's content. No wasted space for bacon strips or french toast. Use & Care:.Hand wash. Dry immediately. Rub with a light coat of vegetable oil after every use. You may experience some sticking with new cookware so use a little oil when cooking. Mild soapy water is fine, if you dry and oil immediately. Lodge seasoned cast iron is right at home on any heat source, except the microwave.